See below for more information about our current projects, Inclusion Champions, New Voices and the School Accessibility Plans research project. 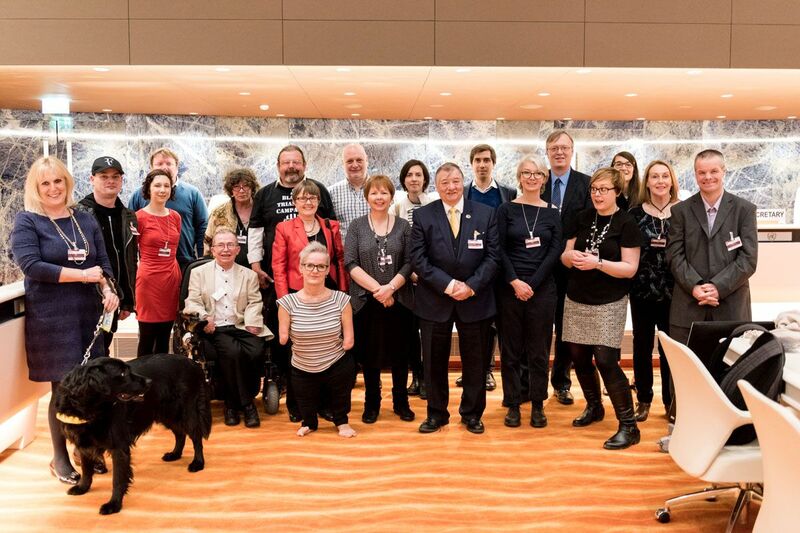 As an alliance, ALLFIE has always valued our allies and supporters, including the many non-disabled people who share our vision and our commitment to inclusive education. Our allies include parents and families with Disabled children and young people, teaching and support staff working in education as well as related professionals such as speech and language therapists, occupational therapists and educational psychologists, service providers and the wider voluntary and community sector. Alliances make change happen because they build understanding and aspiration. Disabled people and our allies together interrupt the oppression and change the conversation! We are committed to finding ways of working with mainstream education organisations and campaign groups as well as decision makers, including MPs, peers and civil servants. We are part of a number of broader networks including the Council for Disabled Children, the Reclaiming Education Alliance and the Reclaiming Our Futures Alliance which is a partnership with our sister organisations in the Disabled people’s movement. We also work with and seek to influence the Equality and Human Rights Commission, the Office of the Children’s Commissioner, teaching and education unions and our sister organisations in Scotland, Wales and Northern Ireland. Beyond the UK we work with disabled people’s organisations, parent led organisations in Europe and the UN Disability Committee. Inclusion Champions is a network of Disabled people’s organisations working together to advance the right to inclusive education in their local areas and beyond. We’d love to hear from you if you work for an organisation led by Disabled people. How does ALLFIE work with young people? ALLFIE is carrying out research into Accessibility Plans in order to test how effective they are in enabling Disabled pupils and students to access mainstream education.